Pictured from left to right: Bob Nahm,Tony Duni and Brian Coryat. 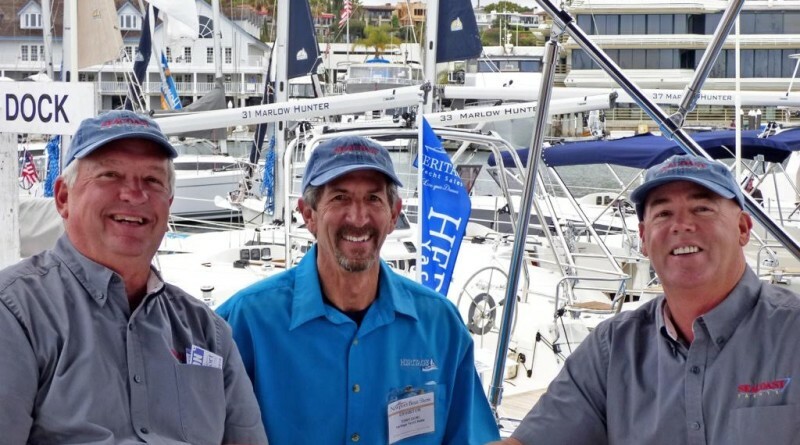 SANTA BARBARA — Seacoast Yachts, the premier yacht brokerage on the Central Coast, announced on June 1 its investment and merger with the number one volume yacht broker in Southern California, Heritage Yacht Sales. The partnership fuses seasoned broker talent with cutting edge technology and digital marketing expertise, to forge the largest, most sophisticated yacht brokerage in Southern California. The new partnership will include seven locations, with the formation of Seacoast-Heritage Yachts in Newport Beach, Long Beach, Wilmington, San Pedro, and San Diego. Seacoast Yachts will continue to operate out of Santa Barbara and Channel Islands. In addition Seacoast Yachts will now become the exclusive sales agent for Heritage Yachts new boats lines, offering coveted premier fleets from Marlow, Hunter, Mainship, and Elling to name a few. This opportunity allows for all seven brokerage locations to offer the best in class in both new and pre-owned boats. Seacoast-Heritage Yachts will be exhibiting the New Marlow Hunter lineup at MarinaFest in Marina del Rey on June 4-5 and at the San Diego International Boat Show on June 16-19. For more information contact Seacoast Yachts at 805-962-8195 or visit seacoastyachts.com.